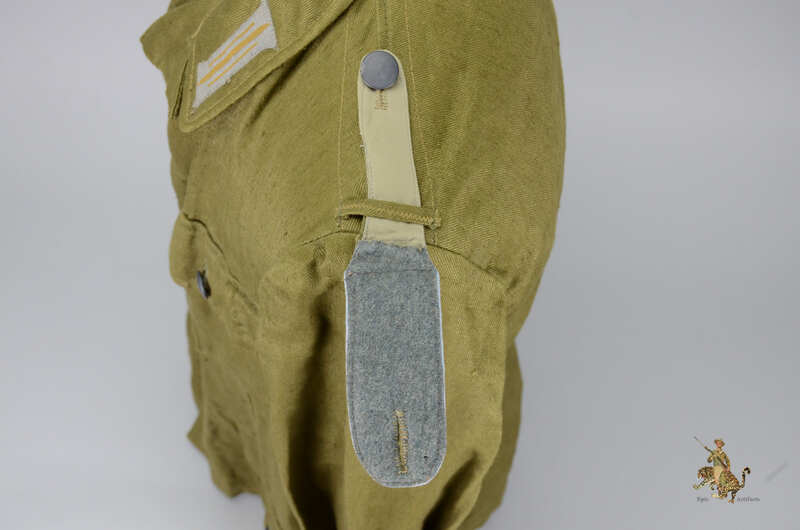 Product Description: An unissued Third Pattern Tropical Heer Tunic in overall near mint condition. 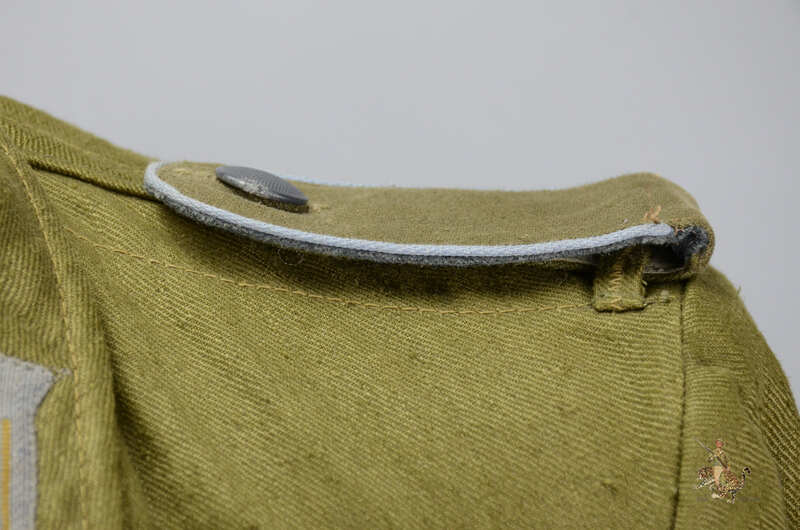 The tunic is made of a lightweight cotton twill dyed tan. 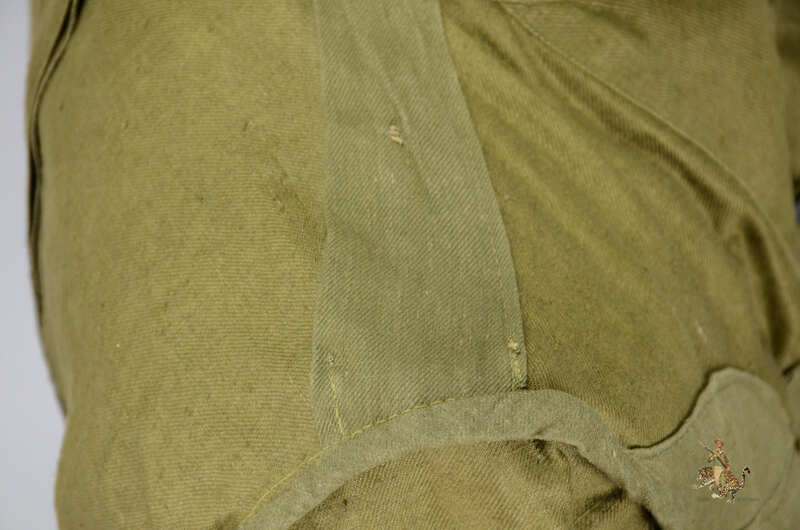 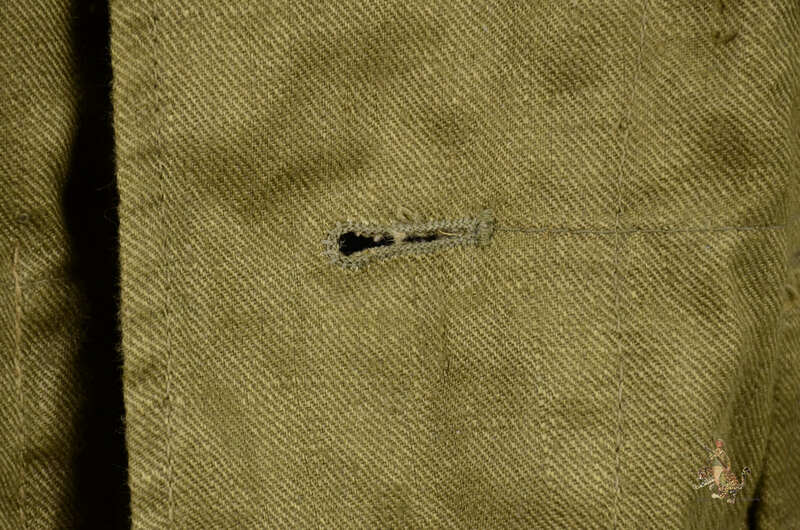 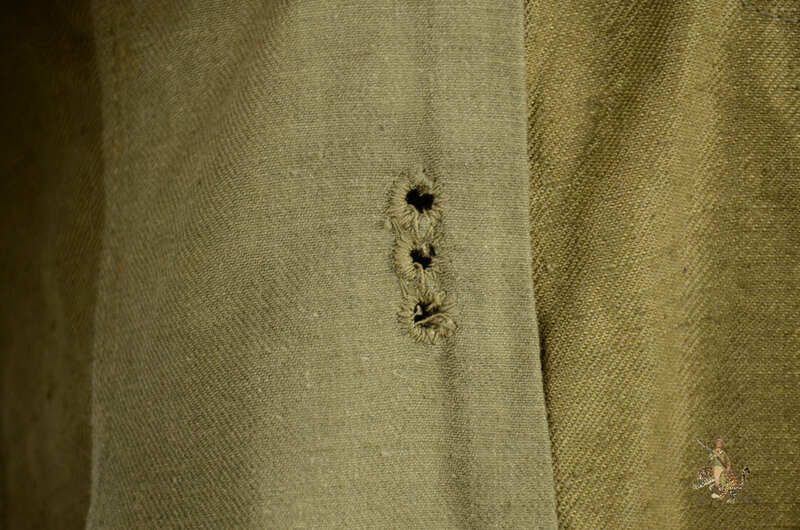 The fabric shows no signs of wear and still retains the light sheen that these tunics had when first made. 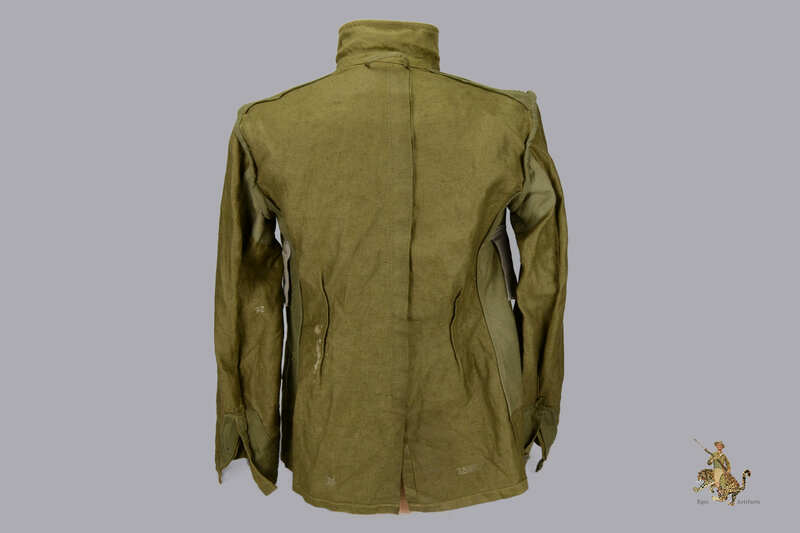 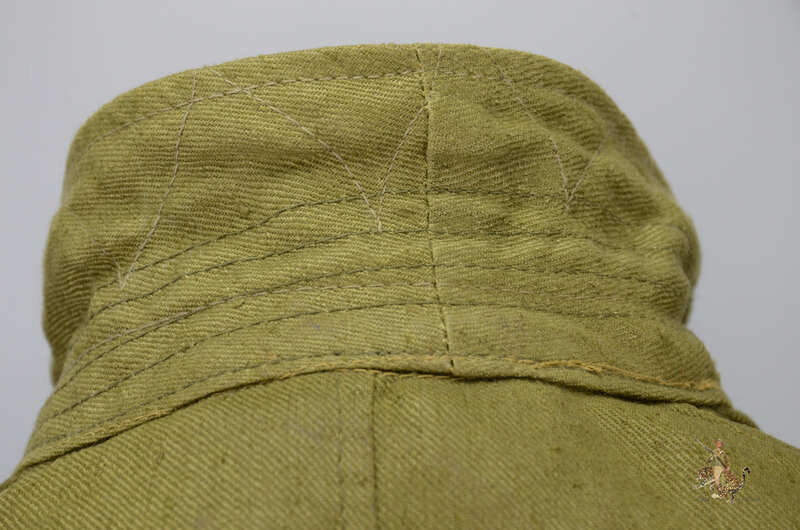 The collar features the standard EM Litzen which are both originally factory attached using a zigzag stitch pattern. 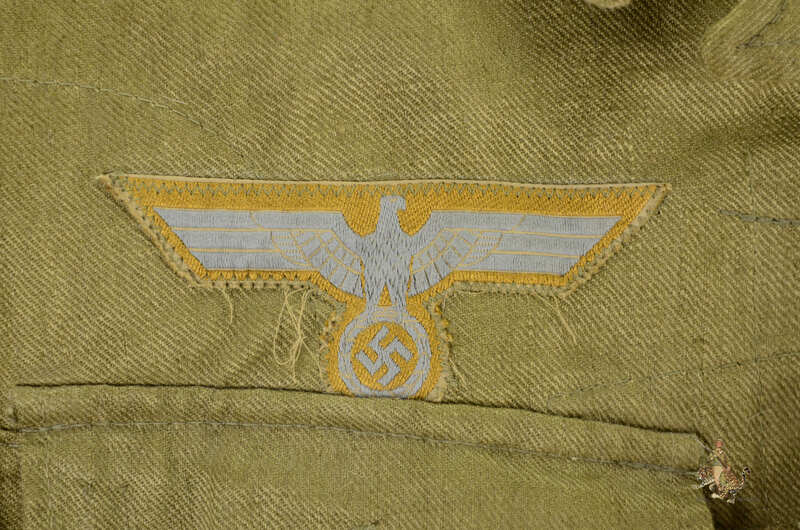 The breast emblem on the tunic is a the second pattern tropical Bevo Heer eagle. 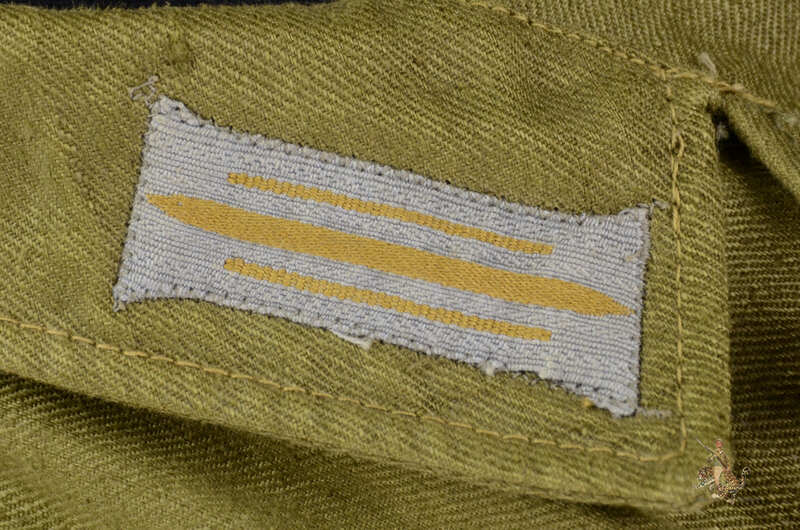 The eagle is a subdued grey on a tan background. 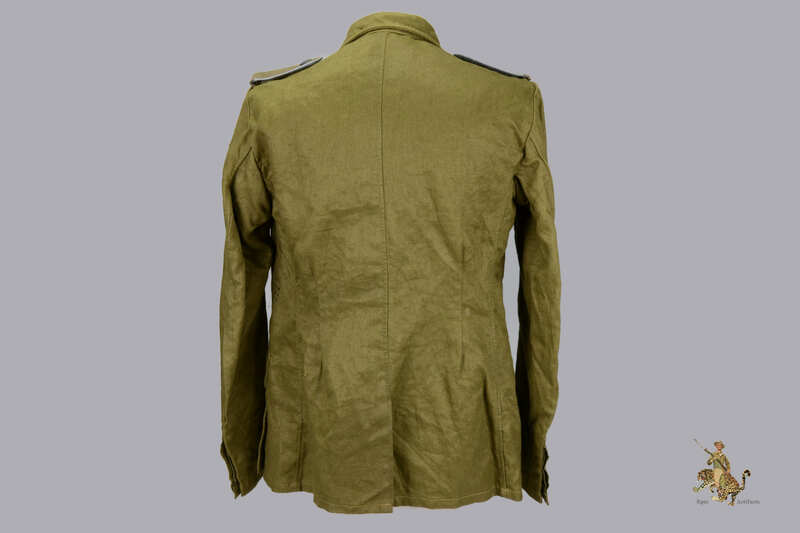 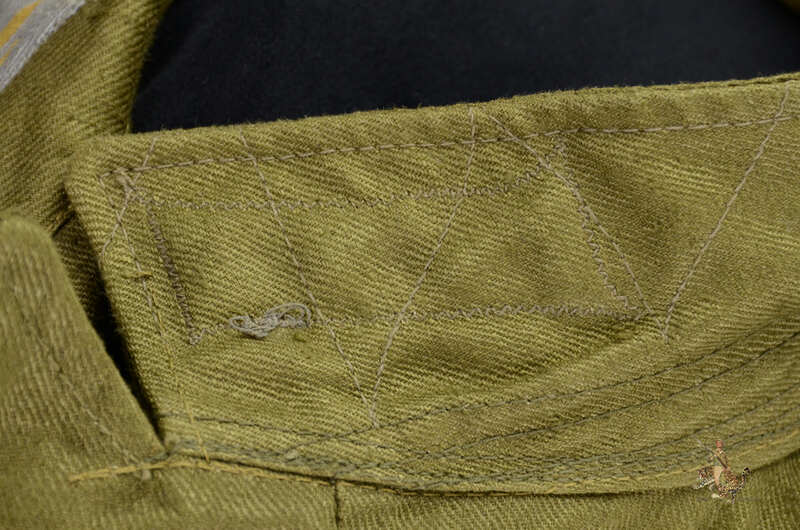 The eagle is also originally factory applied using the same zigzag stitch pattern as the collar litzen. 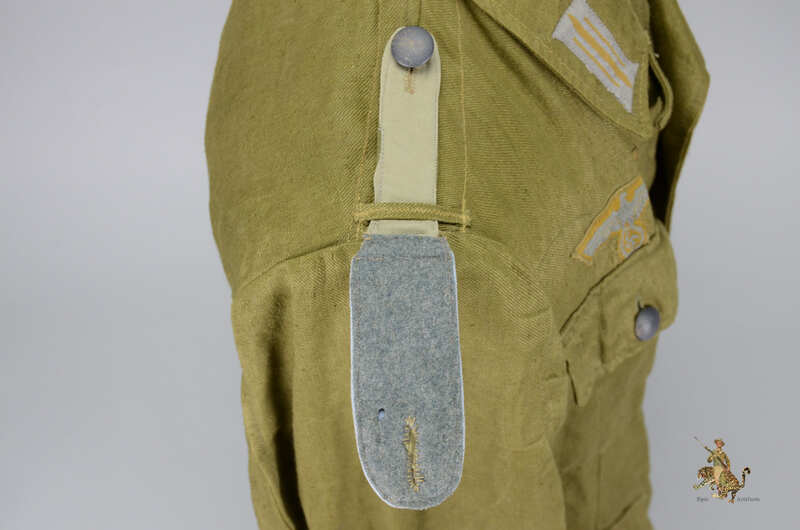 The five closure and four pocket painted pebbled zinc dish buttons are in near mint condition with a few minor abrasions and are securely held in place with the correct retainers on the reverse. 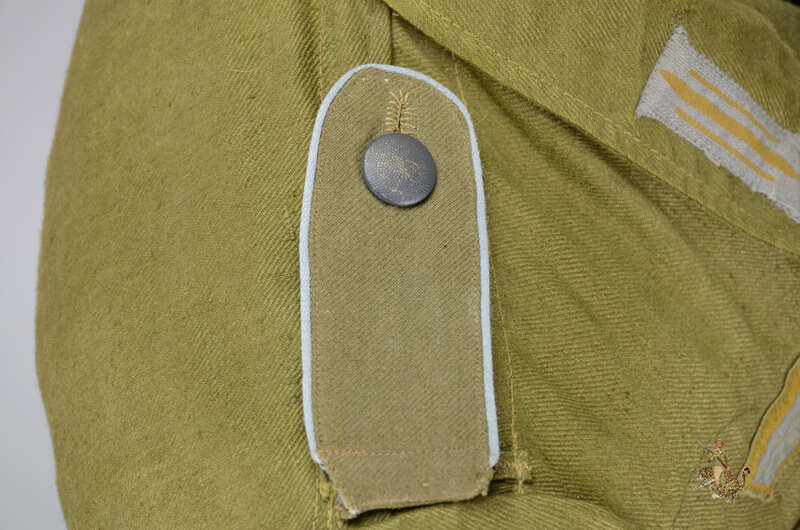 The shoulder boards are the slip-on type for enlisted personnel (EM), are piped in a blue for transport, and securely held in place with the same style pebbled painted zinc buttons as the main closure and pockets. 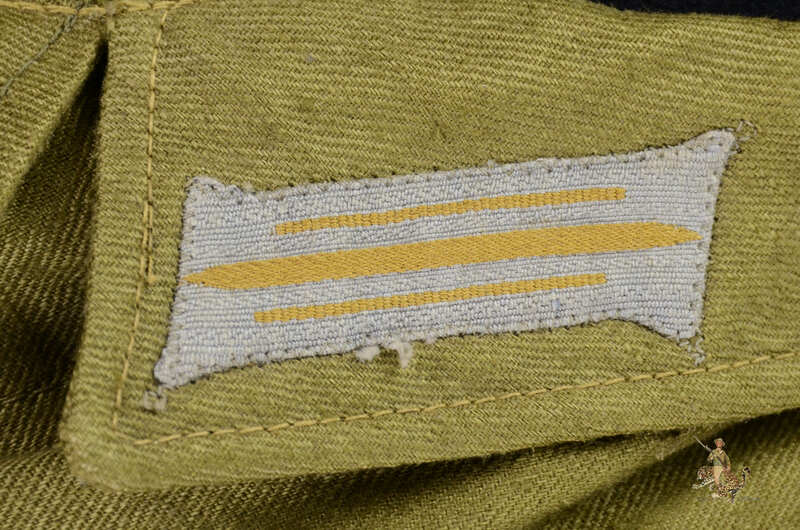 Both shoulder boards are in near mint condition. 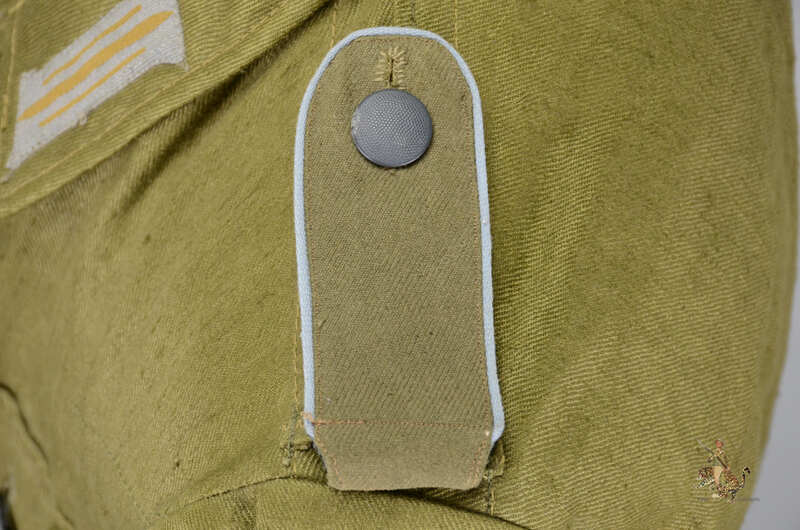 The interior of the tunic has the correct belt hook adjustment straps which show no sign of having hooks attached. 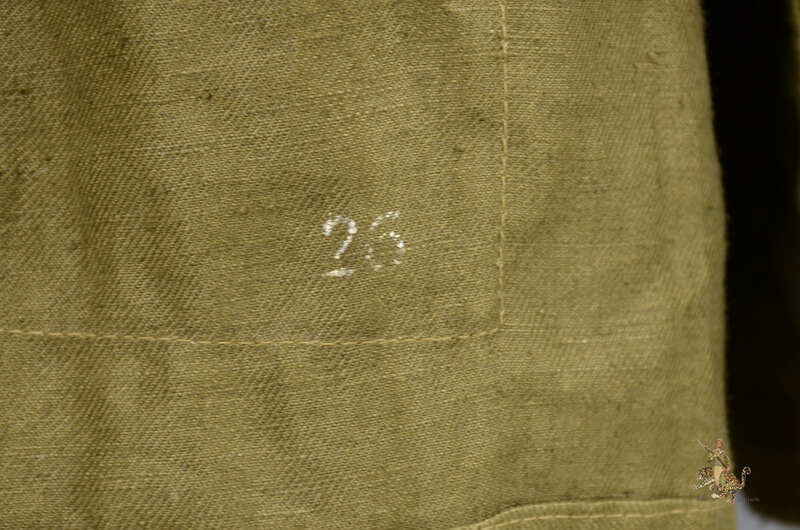 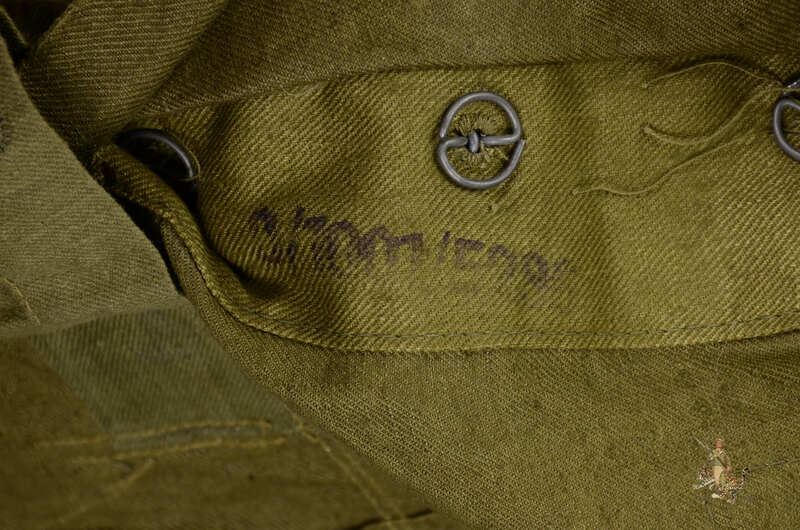 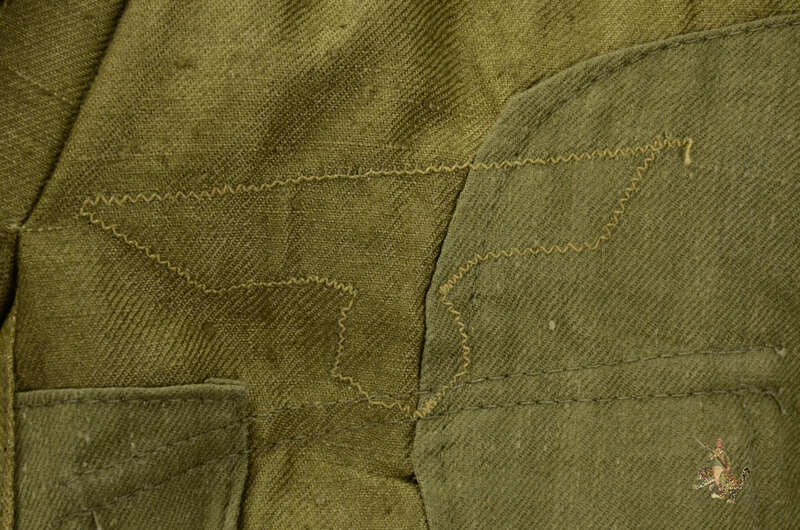 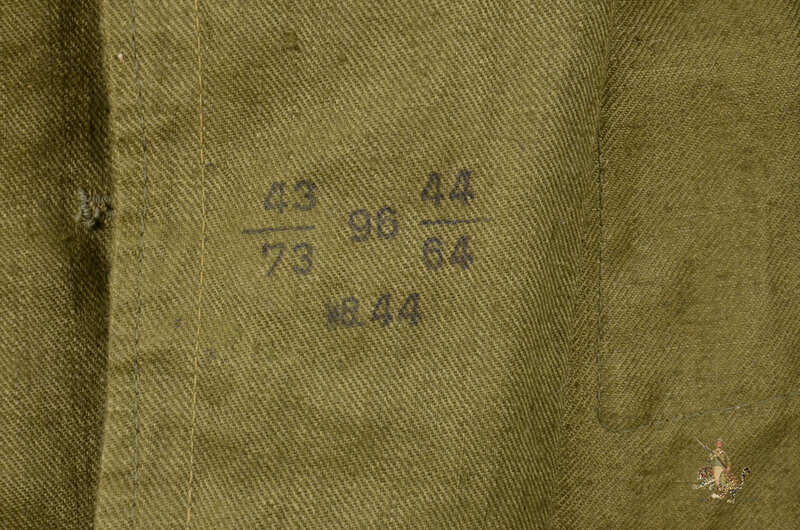 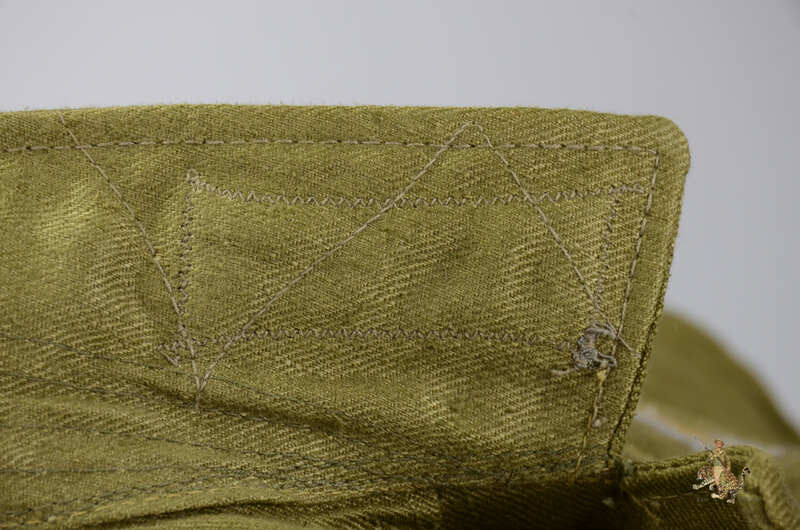 The interior of the tunic is nicely stamped with the sizes as well as the depot (WR), year (44), and RB number. 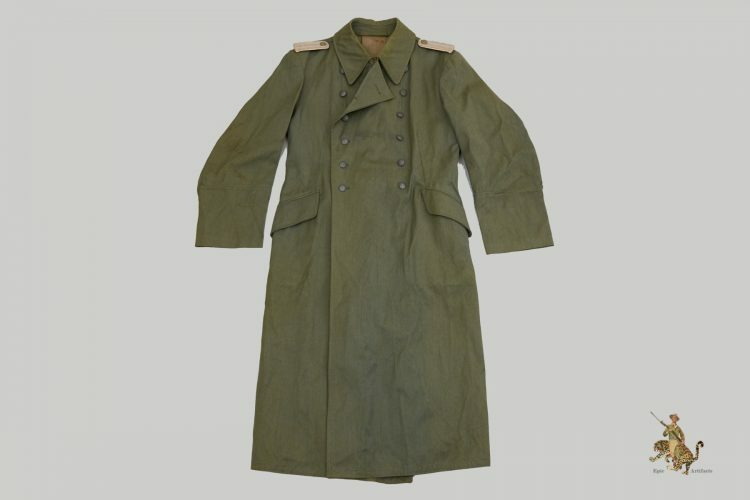 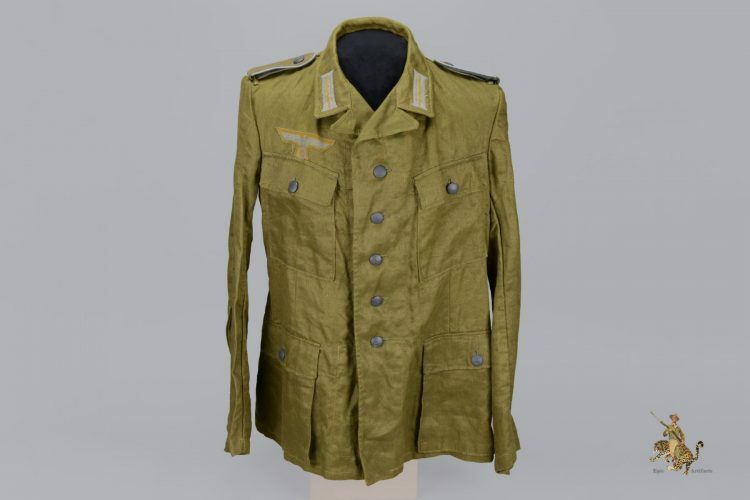 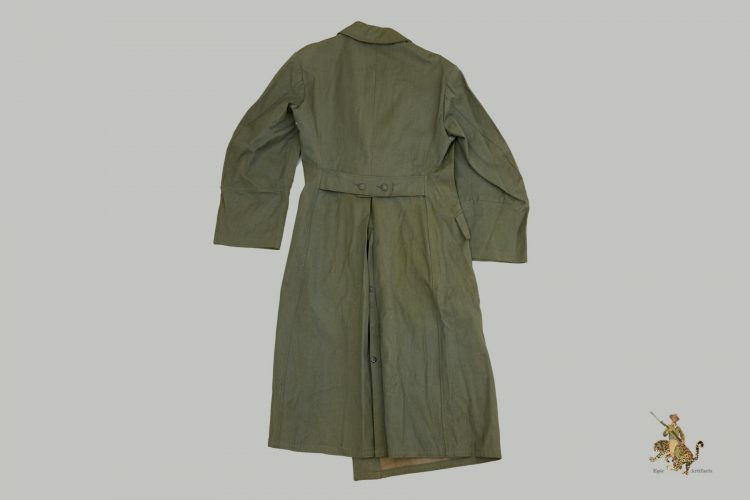 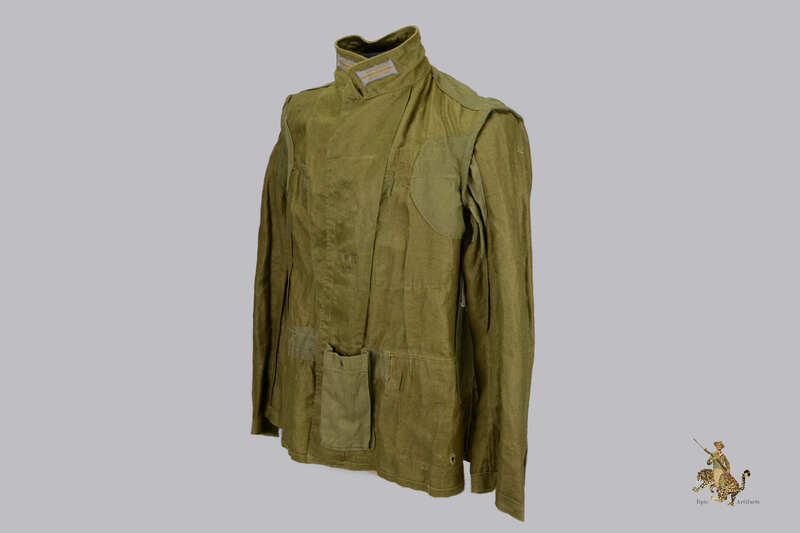 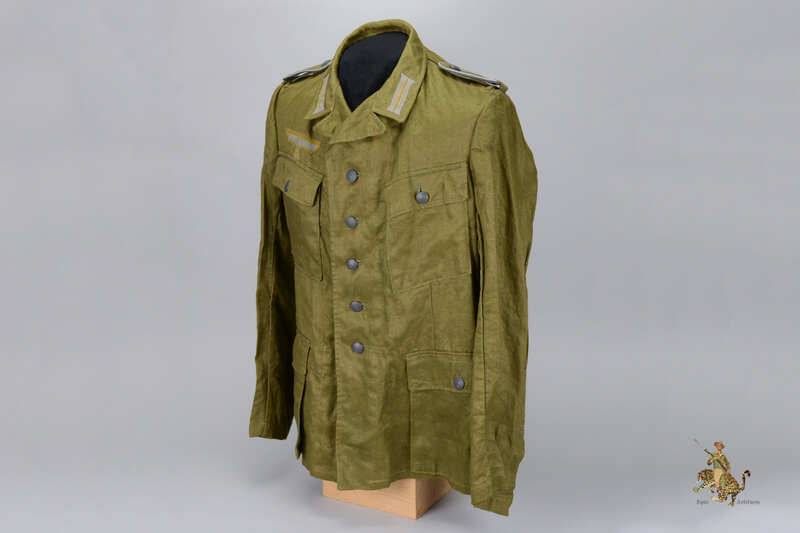 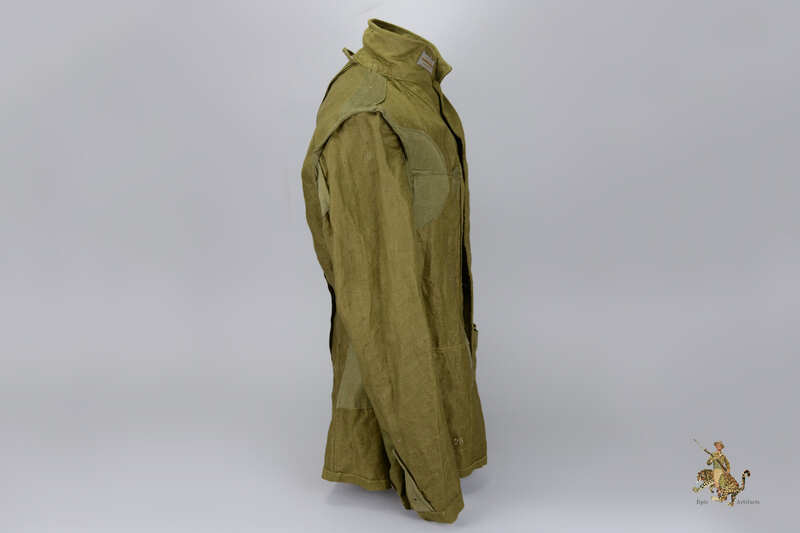 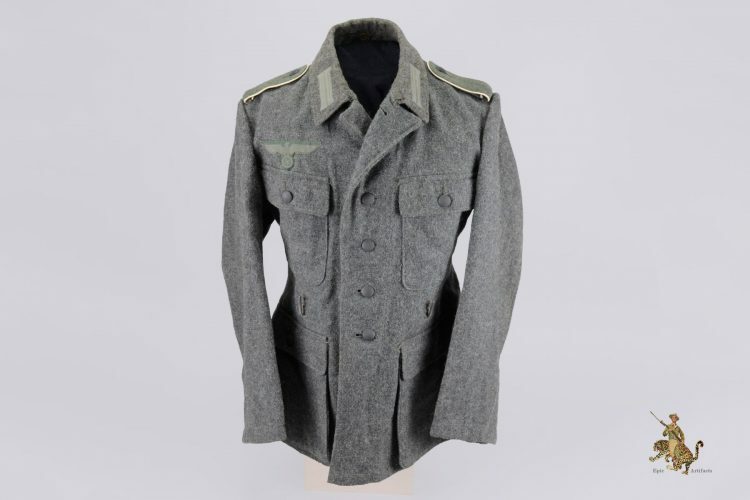 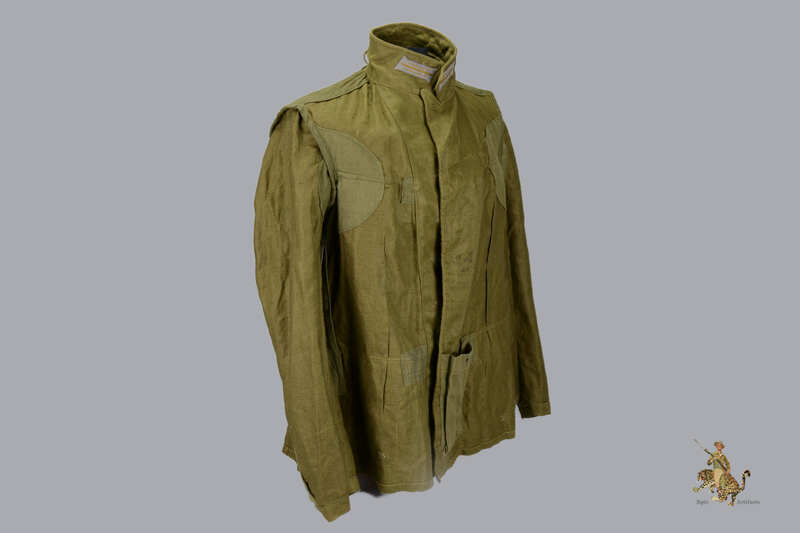 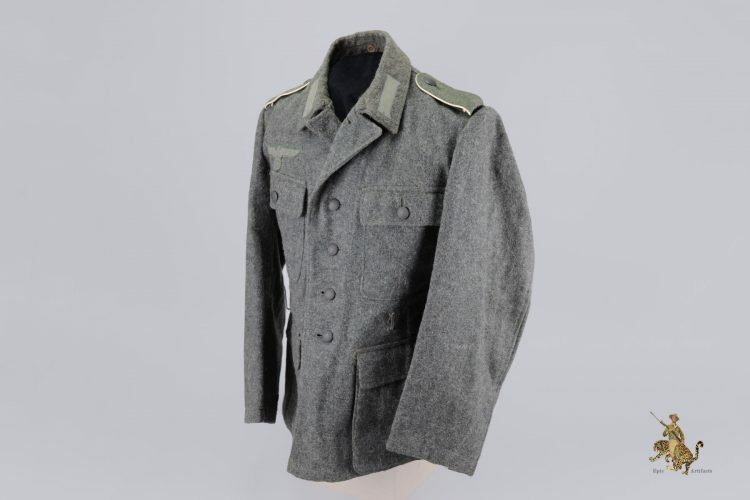 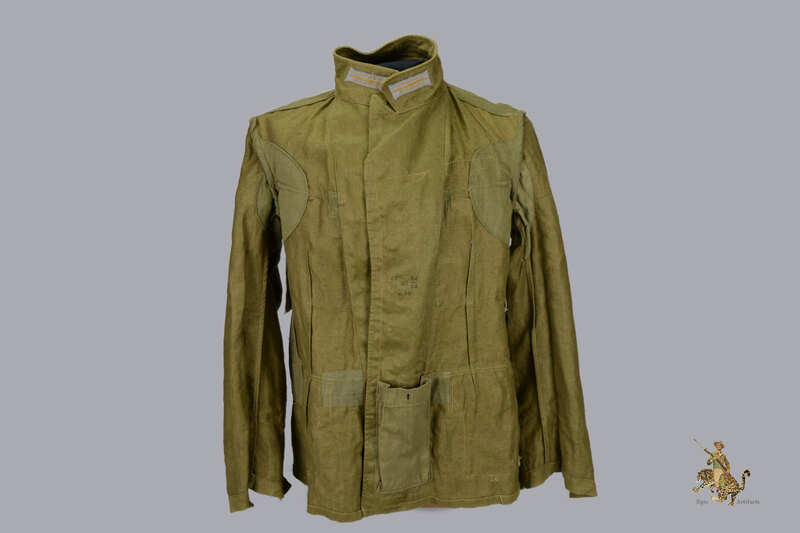 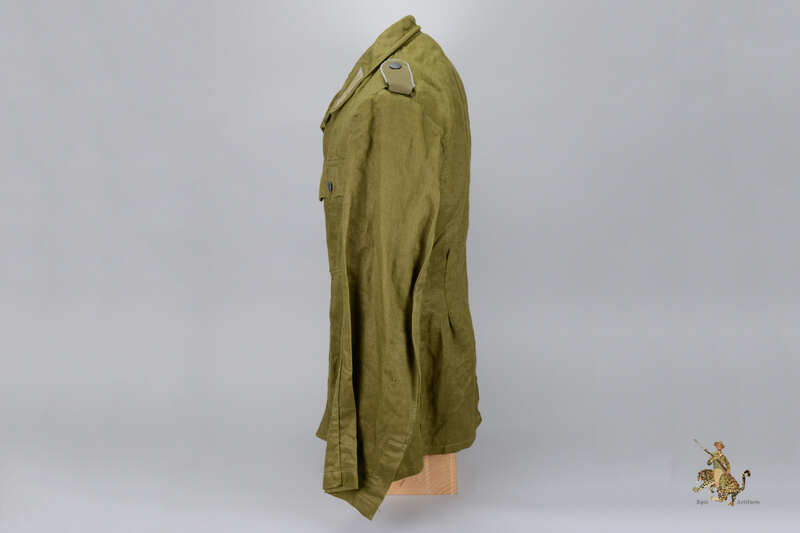 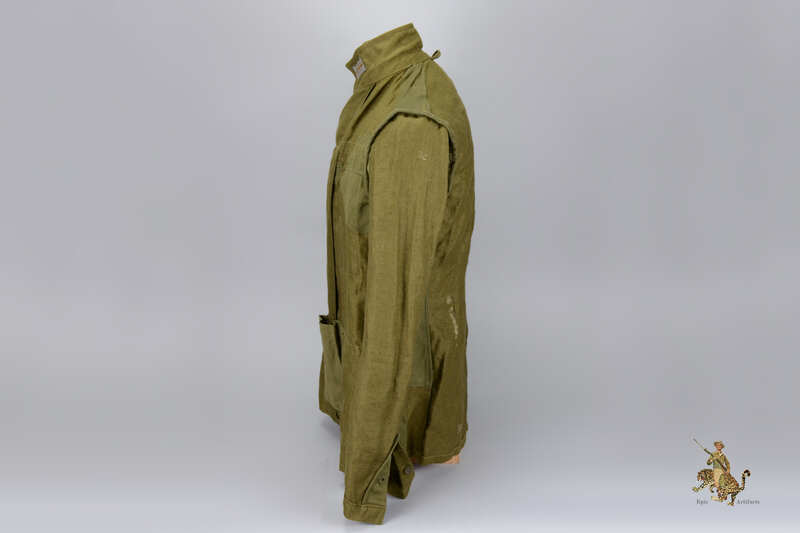 This tunic came to us directly from a veterans estate out of California. 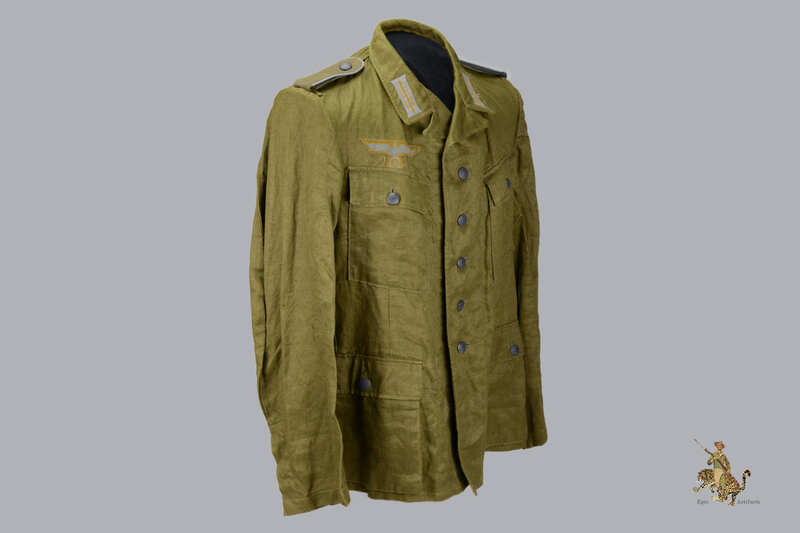 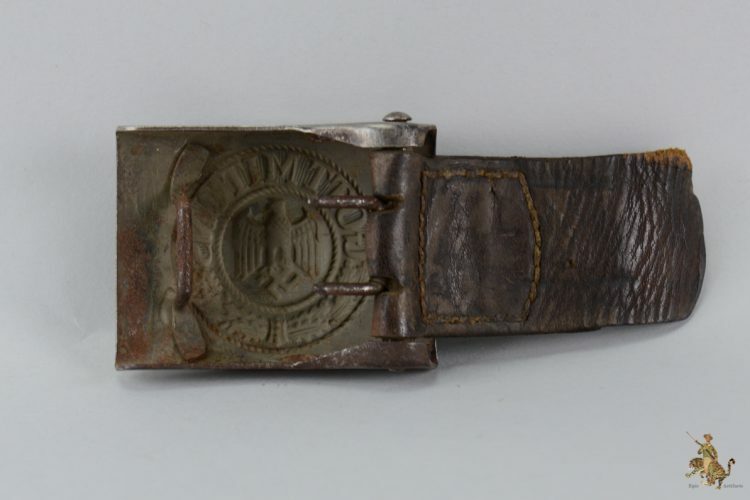 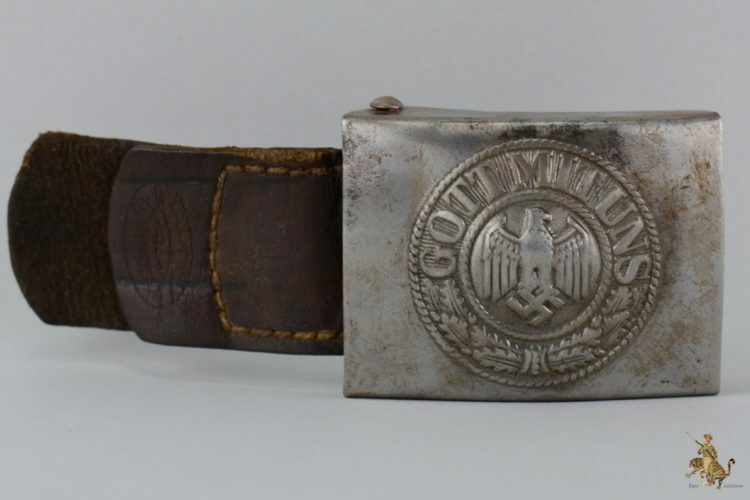 It appears to have been completely untouched since it left the depot where the veteran likely found it while in Europe. 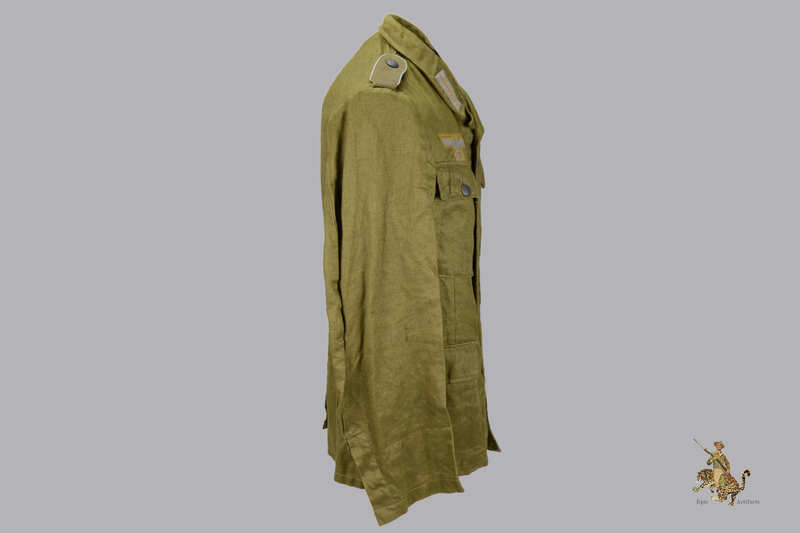 This Third Pattern Tropical Heer Tunic would make a fine addition to any collection.